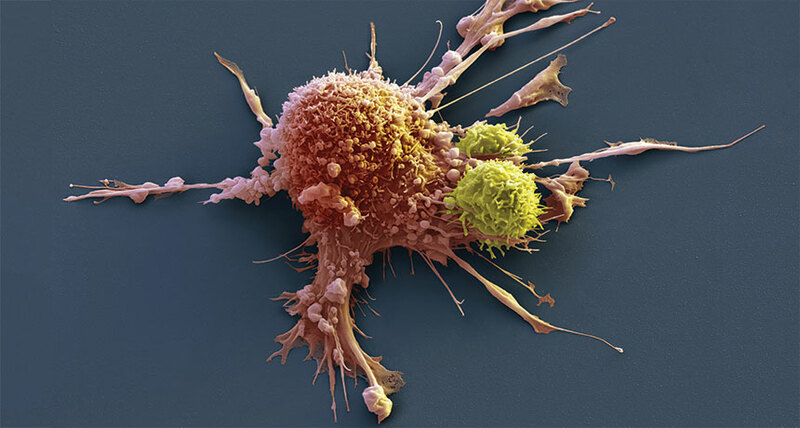 CAR-T 2.0 An immune therapy for cancer using CAR-T cells (two shown in yellow, attacking a breast cancer cell) made a big splash in 2017, but it comes with serious side effects that researchers are trying to combat. “I thought he was going to die,” says Connor’s father, Don McMahon, who stayed close as his son received and recovered from an experimental treatment for leukemia. “It was really hard to watch.” But the fever finally broke, and Connor returned home. Just a month later, in November 2016, he was cancer-free and back on the ice in his hockey skates and pads. That episode was Connor’s third bout with acute lymphoblastic leukemia. The experimental treatment was a last hope for the boy, who was first diagnosed at age 3. He has spent a total of six years of his life receiving chemotherapy. When the cancer came back in 2016, the doctors said the prognosis wasn’t good. At that point, “it was about quality of life, not quantity,” McMahon says. But when he and his wife, Michelle, learned about the experimental treatment, called CAR-T cell therapy, the family decided it wasn’t time to give up yet. McMahon enrolled Connor in a clinical trial for a CAR-T cell therapy at Duke University Children’s Hospital, five hours from the family’s Atlanta home. Days later, doctors extracted immune cells called T cells from Connor’s blood and shipped them off to a lab in New Jersey. There, the cells were genetically modified to target and kill the cancer cells coursing through Connor’s bloodstream.